You Are Here: Home > What are the 2018 Jaguar F-PACE Performance? What are the 2018 Jaguar F-PACE Performance? Saddle River drivers appreciate vehicles that can stand up to other models on the road, and the 2018 Jaguar F-PACE performance is one of the most versatile models on the road when it comes to handling. The new Jaguar model boasts impressive innovations in terms of engine tech, and it also scores big in the engine department. Read below to learn more about the 2018 Jaguar F-PACE performance features and see how this model stands up against other luxury vehicles. No matter what the Mahwah and Bergen roads may throw your way, the 2018 Jaguar F-PACE brings with it superior handling features and seamless conveniences that make you want to hit the road more often. You can’t talk about a vehicle’s power without discussing the different engines it has to offer, and the new Jaguar model brings plenty of options to the table. 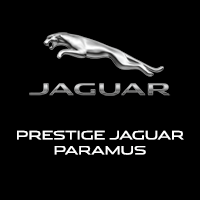 In order to truly experience the power and performance offered by the 2018 Jaguar F-PACE, you need to check out the inventory at Jaguar Paramus. Our dealership is located at 405 NJ-17in Paramus, NJ for you to explore. Call us today at (844) 336-0190 if you would like to learn more about the vehicle specials we have to offer.